If you're looking for some stretchy, slim-fitting tights for natural movement these are for you. 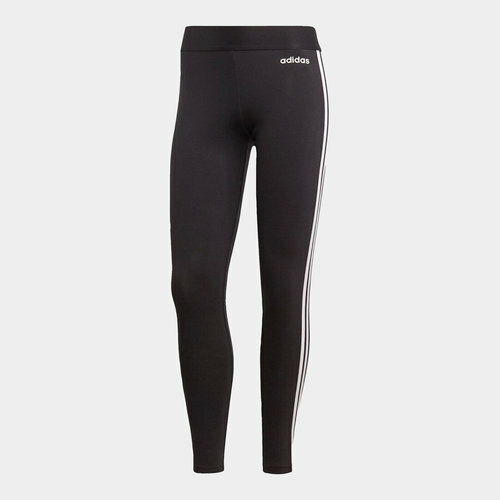 Grab the adidas Essential 3 Stripe Ladies Tights in a Black and White colourway now while you can. Achieve a sporty look in these adidas Essential 3 Stripe leggings, designed with a super stretchy construction which fits closely against your body whilst not restricting your movement. A wide elasticated waistband is teamed with flat lock seams to offer a comfortable, secure fit which does not irritate or chafe the skin. An adidas logo is printed on the left him to complete the design.